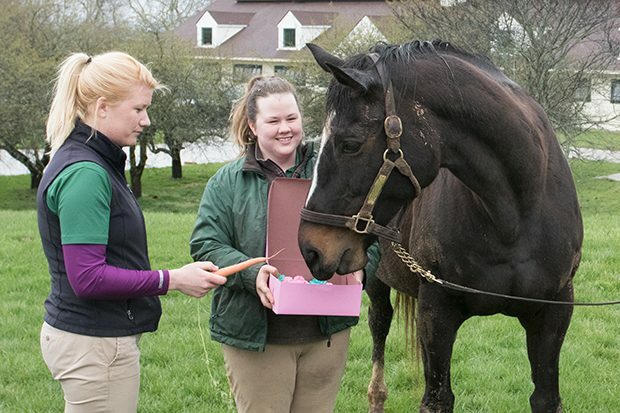 Browse: Home / News / Happy Birthday, Zenyatta! 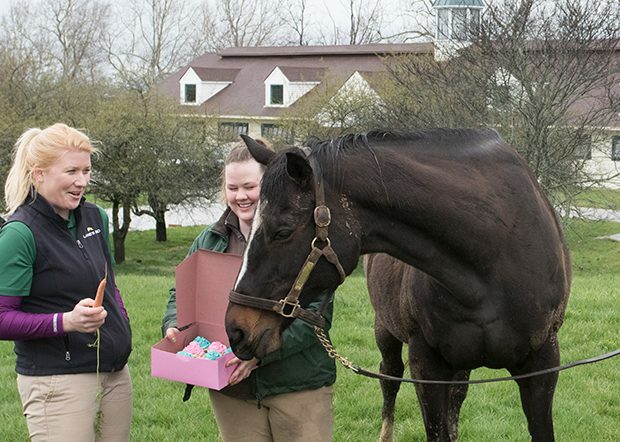 Scroll down for photos of Zenyatta’s birthday party at Lane’s End. I’m also writing to express my sorrow at the loss of Z18 and my deepest sympathies to you, Big Girl, your team and the great people at Lane’s End. Heartbreaking news. I just pray for Zenyatta and her team and everyone who loves her. So much pain for such a wonderful being. Praying she is okay. Been missing y’all here. I’ll try to pop in regularly. My condolenses to The Z team on Z18 loss. 💔 May God be w/ them all including Ann. 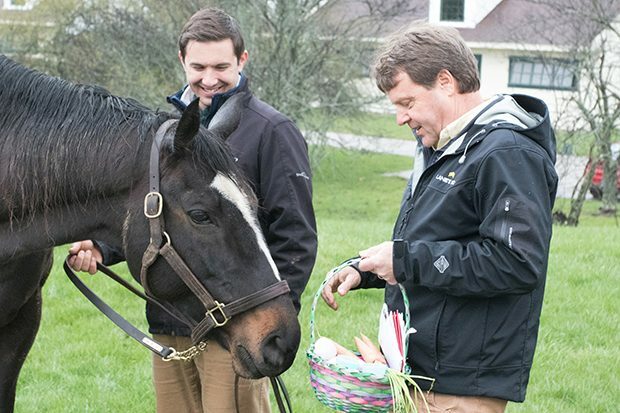 Praying for Zenyatta and all her connections. RIP Z18. This heartbreaking news is so hard to wrap my head around. Z18 is now with sister and brother in heaven. Continuing prayers for Zenyatta’s health and recovery. 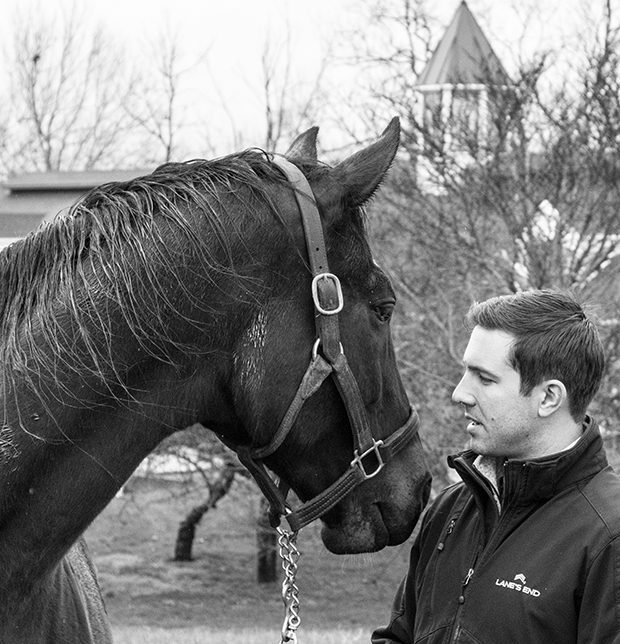 Our deepest heartfelt condolences go out to Ann, Team Z and Zenny’s humans at Lane’s End. Such sad, sad news coming on the eve of Mother’s Day. We’re hoping with all our hearts that Zenyatta is doing well. Please give us an update…. I just saw this. Awful. I am so sorry she lost her foal. I am praying she is alright. My sincere sympathy to Ann and Jerry. Here’s the deal. We who have followed and adored Queen Z for a very long time and deserve the truth, If this Blog is going to have legitimacy, we need to know the truth. What has happened? Is Zenayatta OK? Is her foal dead? Is Ann still involved with communicating news about our beloved Zenyatta? Or, has the divorce cause a rift in this Blog? This is a turning point. Let us know the truth. Please. Because we are the people who care. You don’t “deserve” anything until the people who raised her, cared for her, and are generous enough to share details of her life with us, have a moment to process this, grieve, and decide to share with us again! This blog has had “legitimacy” since 2010…and Zenyatta and her team since the greats GIACOMO TIAGO! I am so so sad to hear this news. I don’t know what to say. I hope Zenyatta will be ok. I feel so bad for the Ann, Jerry and all who love and care for Zenyatta. Crying my eyes out. Looking at a great picture of her. It seems like she is just hard pressed to be the mommy she is destine to be. Maybe she was destine to be one-of-a-kind. Team Z and Lane’s End would you please put out some kind of statement about Zenyatta ‘s condition. I know mares that lose their foals grieve just like humans do over a death. Her fans need some kind of reassurance that Zen is doing as well as could be expected. Any chance she could become a nurse mare to help her through this loss. She is so loved we her fans want only the best for her. As we know you do. Just give us something to help our pain as well. Still won t believe it until I hear from Ann, Lanes End or someone from Team Z…I just can t believe it! If true I am so sorry and know all involved are devastated…..please know her fans care and are waiting anxiously to know Z is ok and hopefully this is “ fake news!” God bless you all and sending prayers and angels. Please is Zenny ok ? Love & prayers for all. oh noooooo please not again…..
thank god zenyatta is well, please i think is time to retire her no more babies…. 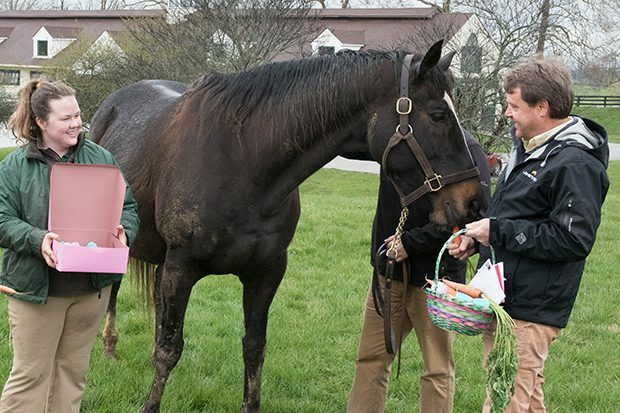 because the next time maybe is going to be to late…..
Just hoping that Zenyatta is healthy and happy. I was wondering wasn’t this unusual to abort this late in her pregnancy? It sounds more like a premature birth with the foal not surviving then a miscarriage. I was just wondering, because I thought she was due soon. It makes it a lot harder on her to go into labor, and lose a foal then to have aborted early, like she did on her very first pregnancy when she was retired. Our poor Queen has so much love to give, and has so much trouble with her little ones. It is true what one of our group said, it seems the greatest race mares have problems when it comes to being a broodmare. Why this is true, no one seems to know. I wish that some how she could feel the love and support we have for her. If anyone has an answer to my question to do with the timing of her loose, can you shed some light on this? I know some of you own horses and know more then I do about this. Love you, Zenyatta!! Sorry, so wish I could help you. Don’t have the answer as my broodmare had 2 foals, one now a 2 yr. old, is a colt and beginning trining and the other, a filly, is a yearling. Addison’s Honor is their dam. She has Secretariat in her pedigree, so Big Red Valentine, my 2 yr. old is as red as red can be. Don’t know the answer. Perhaps if you call Lanes End, they will tell you. Another member of our blog called and was told that Zenny is OK. Lots of luck. I, Too have puzzled about this question. A bit of good news. 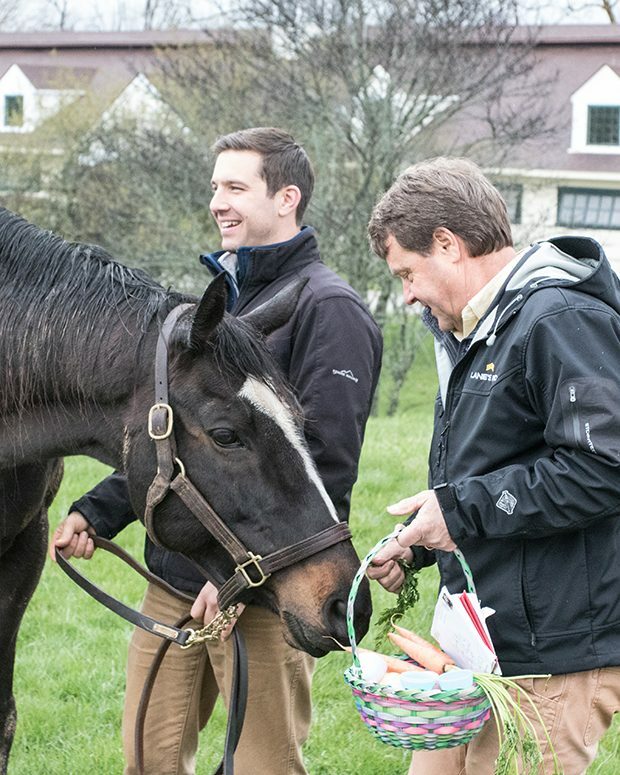 Patch, the one eyed horse who ran in the Derby last year, is going to race tomorrow at Belmont. He has been having a long vacation at Calumet and looks stunning! Safe trip to this brave boy. I haven’t posted on here in some time, not because I stopped loving Zenny, but because I couldn’t stand to look forward to a new foal and have something awful happen. I rejoiced in Z17’s birth quietly and have watched her grow always with that trepidation in the back of my mind that if I love her too much…well, you know. Now, it’s happened again. I am heartbroken for Zenyatta and her connections. She is just too precious a treasure to endure any more tragedy. Please, I am begging the Mosses although I know I am overstepping my bounds in doing so, please don’t breed Zenny again. I am afraid another loss will break her spirit if it hasn’t been broken by this loss. I just pray Zenyatta is well after this trauma and is not suffering like Rachael Alexandra did with her second pregnancy. I know this is a very emotional time for everyone, but I think it is very important to understand Zenny aborted this foal a month ago (or close to it). While I am sure she mourned the loss for a short time, animals have a way of dealing with death much differently then humans. Zenny’s bag is drying up or may be dry at this point, she is not going to be a nurse mare. It is heartbreaking for us but she is back to her routine and enjoying lush spring grass and just being a horse. We should not put our human emotions on her or any other. If her caregivers were doing that, they would be doing her a major disservice. Horses thrive on routine and calm. I am heartbroken over the loss of this foal, and my heart goes out to the Moss’s, Charles( her pal and broodmare mgr) and all those who have her around them daily. I know Zenyatta is fine and back to her routine with her usual great care. I respect the decision they have made to keep this silent. 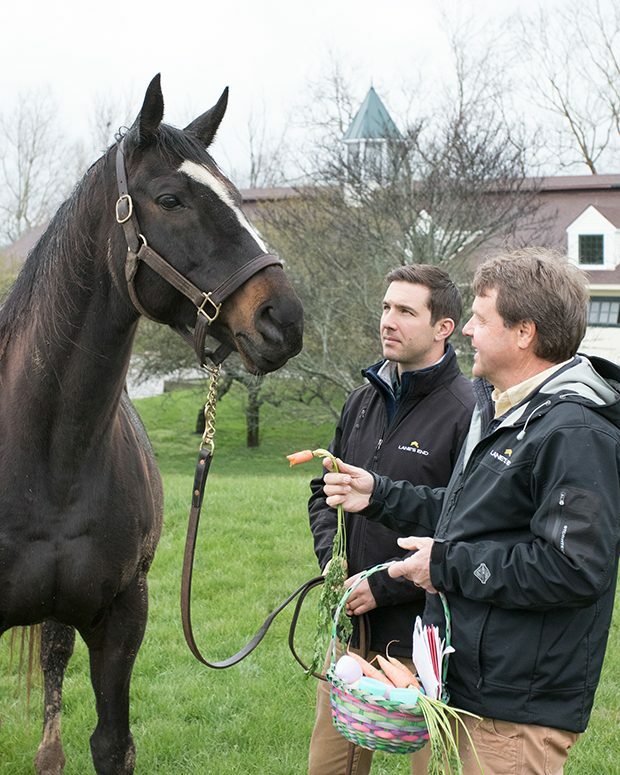 There are foals still being born, mares being bred ….a very busy season for any big breeding operation and the blog….It their decision when or if to say something. They owe us nothing, she is not a public figure anymore. This is a sad and difficult time but all of us, let try to avoid anthropomorphizing. Searching for answers as to why Zenyatta lost her Z18 foal so late into pregnancy and found many reasons on the internet as to why this can happen. Too many to name in this post. Although it’s heartbreaking, it’s life, with humans as well as with animals. Many fans are suggesting that Zenyatta should not be bred again and if her health were in jeopardy, I would agree, but that does not (as far as we know) appear to be the case. Z Princess died as a result of a paddock accident as a yearling, not at birth. Zenny has successfully delivered 4 beautiful foals without complication. I am certain the Mosses have only Zenyatta’s best interest at heart and they will do whatever is right for her. As fans, and as heart wrenching as it is to learn of the loss of Z18, all we can do is pray for them and support their decisions whatever they may be. Dear Lord……Grant me the serenity to accept the things I cannot change… the courage to change what I can and the wisdom to know the difference. Small comfort I know in these saddest of times but beyond grateful that Zenyatta will be ok. I have been a Zenyatta fan since her first race. She is a dream to behold. I only wish her good health after such tragedies in her broodmare status..She will always be a winner to me. I am a Canadian and my fave horse to be sure is Northern Dancer from Ontario. I think if it had been in that time Zenyatta would have made a good pairing with him. She will have more foals to love as she is a truly loving Mom. I hope to hear about her filly and whatever happened to Ziconic he is a special little guy. I speak for the future and the many more beautiful healthy babies our Queen will produce. 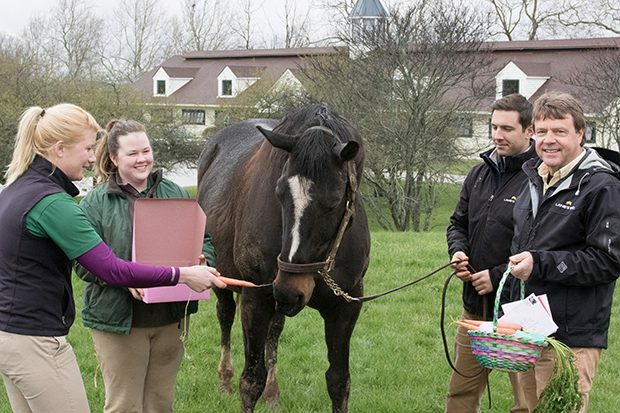 God bless Zenyatta and all who work with her at Lane’s End Farm. Also to her owners the Moss’s especially Anne. Still waiting for some answer to question . Who will the Queen be bred to in 2019 will it be Into Mischief again. What happened to Ziconic. Really thought Ziconic had a chance to better himself. He sure had that homestretch kick like his Mom. Just asking if anyone knows the answers.